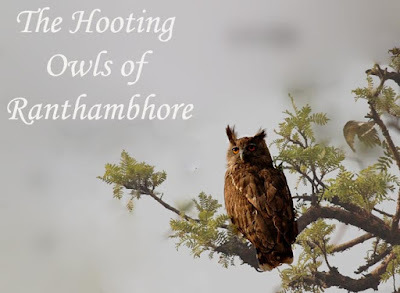 The Hooting Owls of Ranthambhore.. . 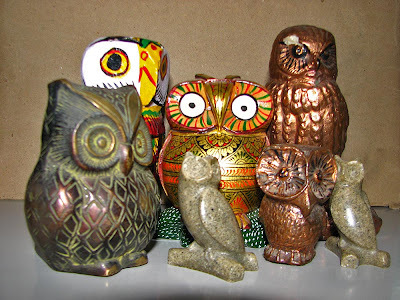 In Hindu mythology a white owl is considered vāhana of Goddess Lakshmi and hence a symbol of prosperity. The Greek goddess Athena was commonly depicted accompanied by an owl, and hence this is considered a common western symbol of wisdom. 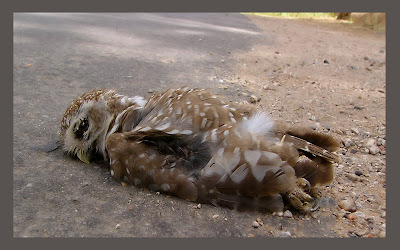 This symbolism is evident in the frequent use of an owl in the logos of institutions such as universities and libraries. 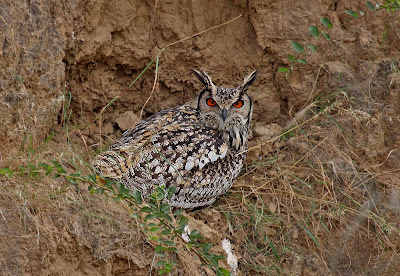 Owls are birds of prey but unlike other raptors they have very unique features which set them in an entirely different league of their own. 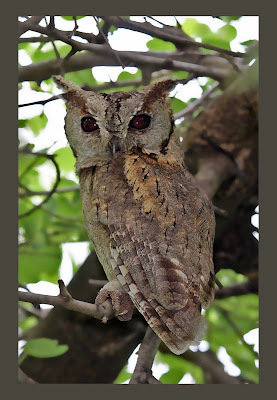 There are some 220 to 225 extant species of owls in the world, subdivided into two families: typical owls (Strigidae) and barn-owls (Tytonidae). 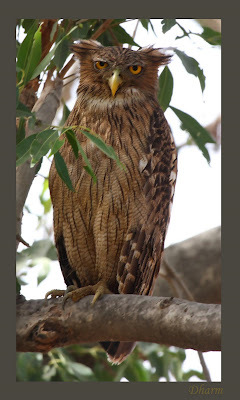 In India, there are about 33 species of owls reported; but recently The Ceylon Bay Owl (Phodilus assimilis) was spilt from the Oriental Bay Owl (Phodilus badius) based on morphological and vocal differences [Rasmussen & Anderton '05] making it 34 species. 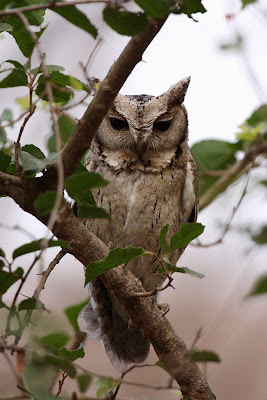 It is a small Owl although it is the largest in the scops Owl family, they belong to the larger group Strigidae family. they have buff nuchal collar and finely streaked underparts, and indistinct buffish scapular spots. Their call is a frog like “whuk”. They feed mostly on insects. 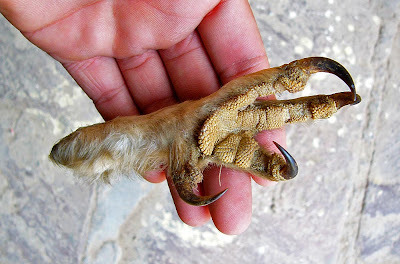 Its size range is 23 – 25 cm. It is a large grey owl and it displays distinct ear tufts. The underparts are greyish white with brown streaking. Its size is about 56 – 58 cm. Its call is a deep and resonant wo, wo, wo, wo-o-o-o-o. It is seen in the kachida – Pilli Ghati road in the left lanes when you enter from the park side. It has concentric barring on facial discs and rufus, dark brown and white mottling on white underparts. Size is around 46 – 48 cm. 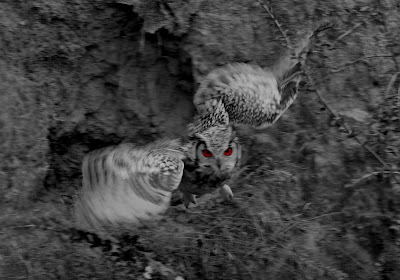 Mottled Wood Owls call is a spooky, quavering whaa-aa-aa-ah. It is seen behind the Semli area around the tendu trees. .. The underparts are white, streaked with brown. It has Pale facial discs and nuchal collar. And the iris is yellow. There is a white neckband and supercilium. Call is harsh, screechy chirurr-chirurr-chirurr.. .
Its size is about 21 cm. 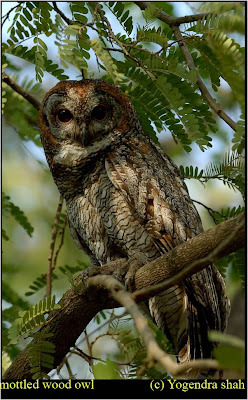 This species is a part of the larger grouping of owls known as typical owls, Strigidae. 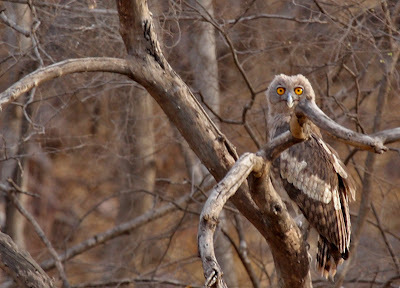 They are the commonest and found in most areas of Ranthambhore. 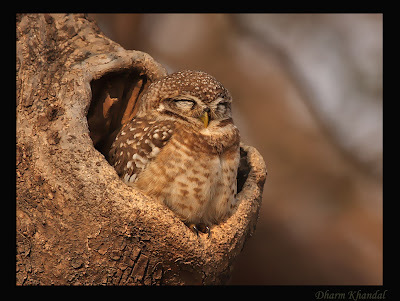 Interesting observation is when these owlets are disturbed from their daytime site, they bob their head and stare at intruders. 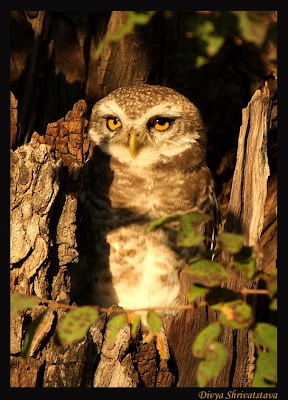 The owl has unmarked white face, with whitish underparts, and golden-buff and grey upperparts. Females tend to be generally darker and more heavily marked than males. Prefers open lowlands generally not seen in the park area but in the Jhumar Baori and fort areas. 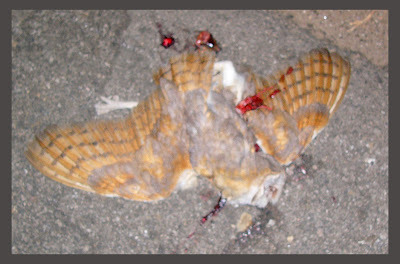 Barn-owl belongs to a different family Tytonidae. Their approximate size is about 29-44cm. Barn owl do not hoot contrary to popular belief, It instead produces the characteristic shree scream, ear-shattering at close range. It can hiss like a snake, and when captured or cornered. 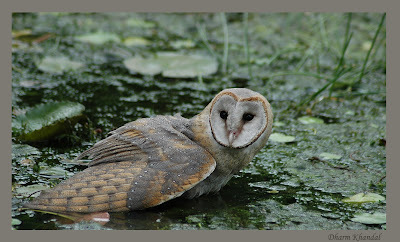 Interestingly, the Barn Owl is probably one of the most studied species of owl. 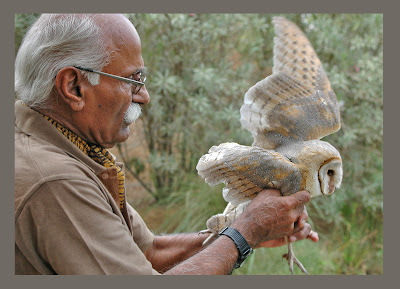 In June 2009, a gang of poachers were arrested trying to sell barn owl on internet in name of some rare species called ‘Silver Owl’ reported the Times of India network. 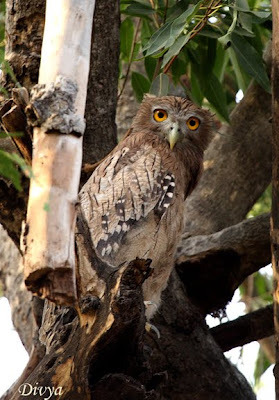 Large, eared owl, Compared to other fish owls the brown fish owl has close dark barring on dull buff underparts, which also show finer streaking and upperparts are duller brown with finer streaking. White throat, yellow eyes and a rather indistinct facial disk. It is about 48-57cm in size. Its calls are described as a deep tu-hoo-hoo or a soft huphuphup. 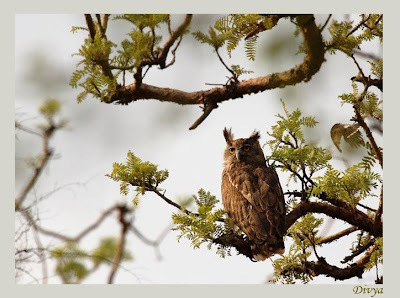 It is generally seen near water areas like the Kala Pilla Pani area on Sultanpur Road, near the Nisardhara gate, Rajbag area.. . 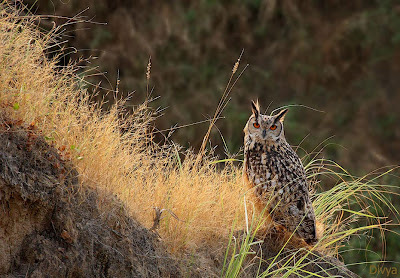 This is a very large Owl with prominent ear tufts and very vivid orange eyes. They have buff-brown upper-parts, heavily marked with black, greyish facial disk. Under-parts paler buff-brown with black streaks, and fine brown barring on belly, white throat. The Night Hunter in flight.. .
loved the write up, truely mesmerizing creatures. Goof up of DFO - Ranthambhore .. .